Accent your seaside bathroom with the Beach Bicycle Shower Curtain. This beach shower curtain features serene pastel beach scenes with bicycles in front of a striped boathouse and fence for a beautiful addition to your home. Ships from the manufacturer. Allow 1 week. Cannot express ship. 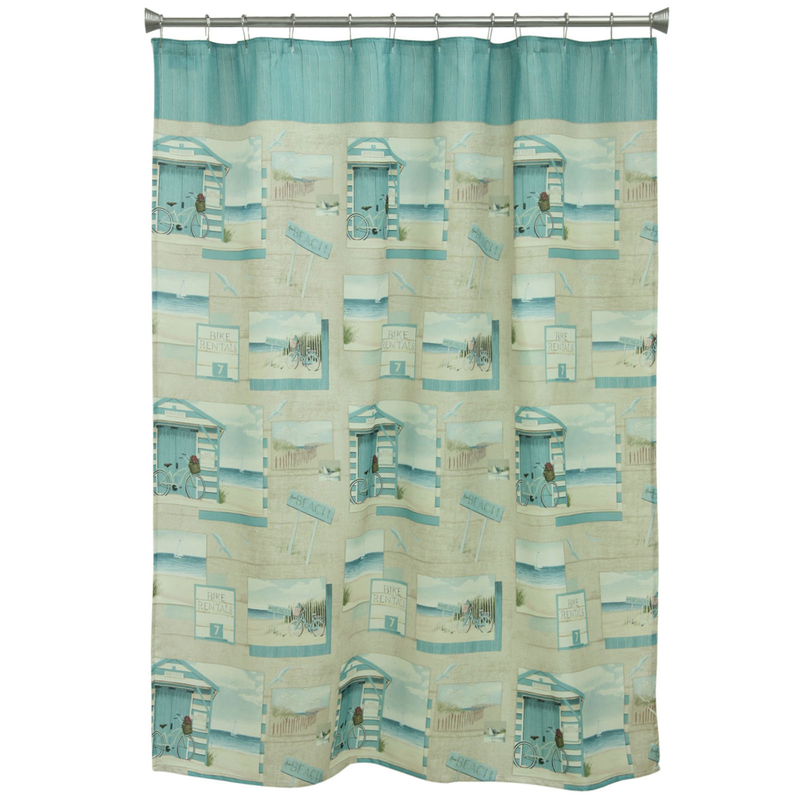 For further items, we invite you to take the time to browse our extensive range of beach shower curtains at Bella Coastal Decor today.